Michelle has always been passionate about seeing God's transforming work in the lives of individuals. Prior to coming to The River, she served and led college students for nine years through the ministry of InterVarsity Christian Fellowship at Stanford University. Michelle joined the staff at The River in April 1999 as the Small Groups Director. Over the years she has been primarily responsible for casting the vision of small group communities and supporting their leaders at The River. 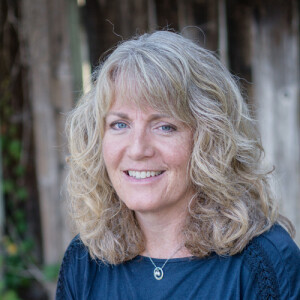 Michelle has also been trained as a Spiritual Director through the Monastery of the Risen Christ in San Luis Obispo and enjoys leading Directed Retreats and meeting individually with people looking for help in connecting more deeply to the work of God in their lives. Michelle holds an undergraduate degree from Stanford University and has studied at Fuller Theological Seminary. She is married to The River's Tech Guru, Mark Manley. They are the proud parents of two school-age boys, Drew and Derek.